This time, the series of events titled Isobar Creative Development visited Budapest. Within the framework of the program, Isobar strategists, creatives, UXs and project managers have been working on group workshops in order to facilitate knowledge sharing between countries. The teams had been working on the 5 briefs provided by Telecom for 2 days: they participated in a service design workshop and after the development of creatives, they presented their ideas to the client. 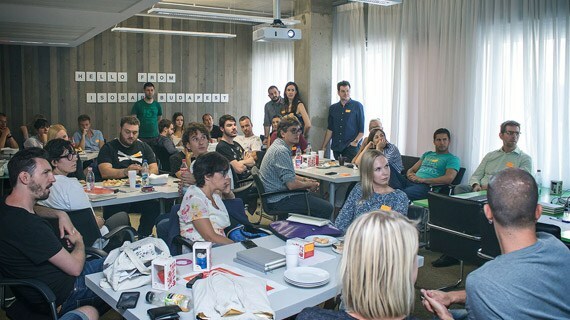 The Isobar creative workshop in Budapest has so far been the biggest one; it was a real pleasure for us to be able to host so many creative talents.